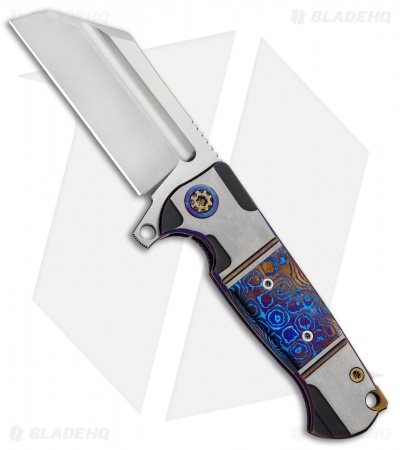 This Custom Mini War Hulk has a two-tone titanium handle and a satin polished cleaver blade made from CPM-S35VN steel. 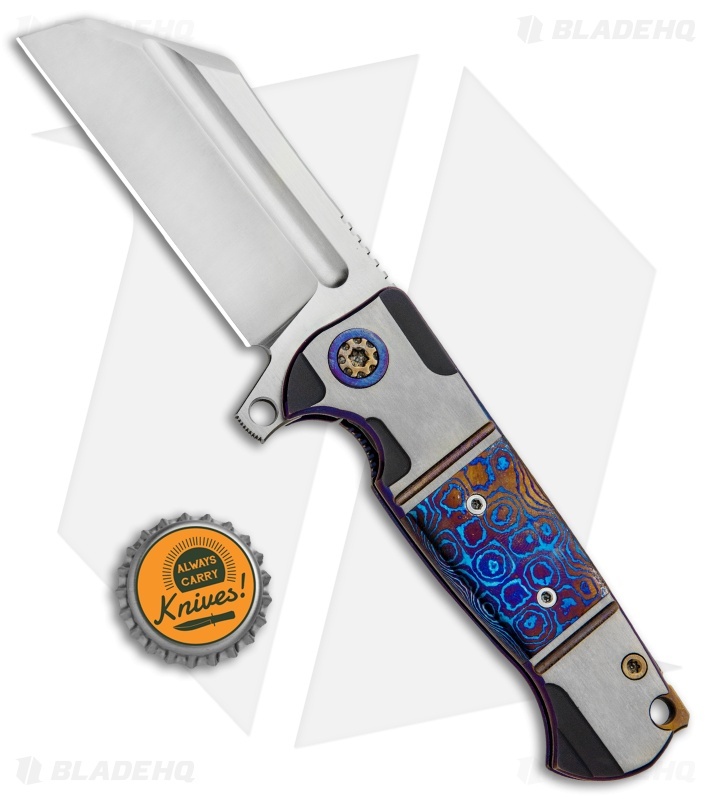 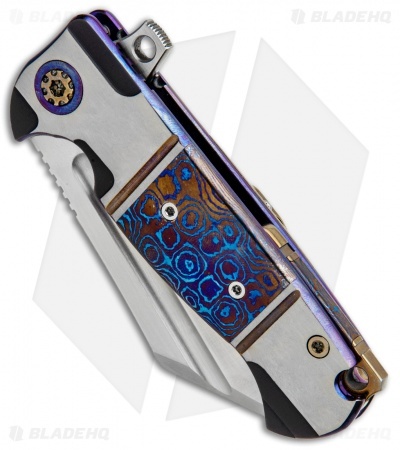 It features Moku-Ti inlays and anodized accents across the edges of the handle. 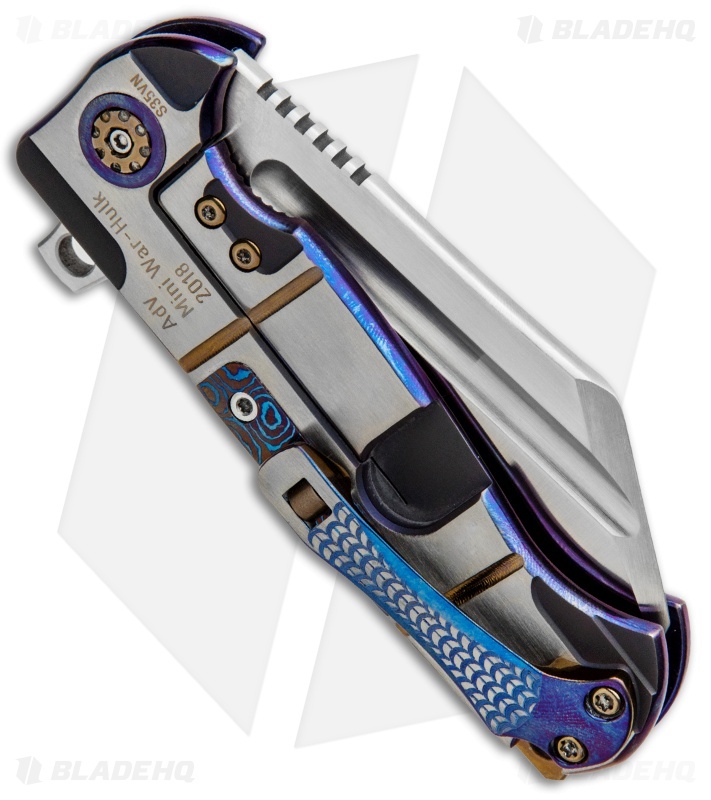 The War Hulk folder from Andre de Villiers is a beefy, solid built titanium frame lock knife with all the heft you could ever need. It offers an optimal shape that caters to in-hand comfort and control. The Moku-Ti accented titanium backspacer lends a hole for lanyard attachment and the milled pocket clip is a solid touch to this outstanding knife. Because of the random nature of Mokuti, each knife may look different from the pictured knife.